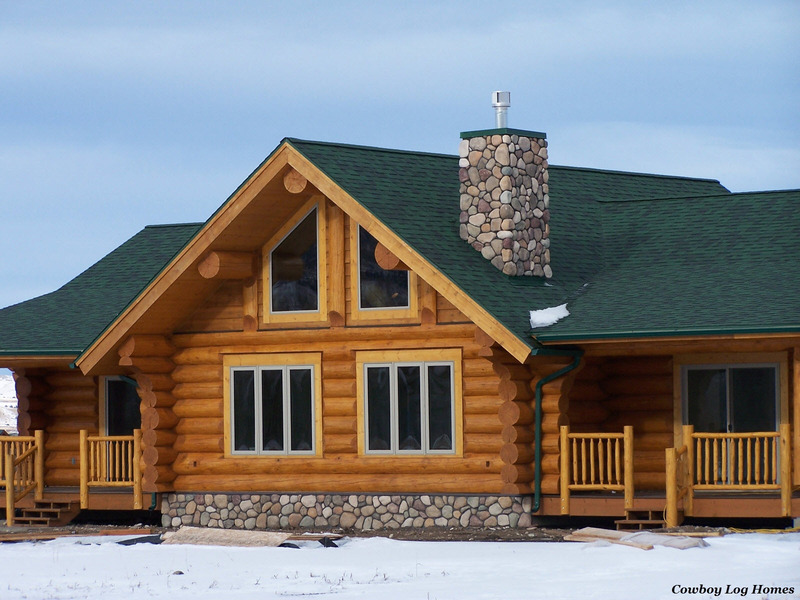 Another phase of finishing the exterior of this handcrafted log home include the stonework on the foundation and chimney. The chimney was framed and sheathed during the dryin of the log home. Now it is time to go back and apply the stone. 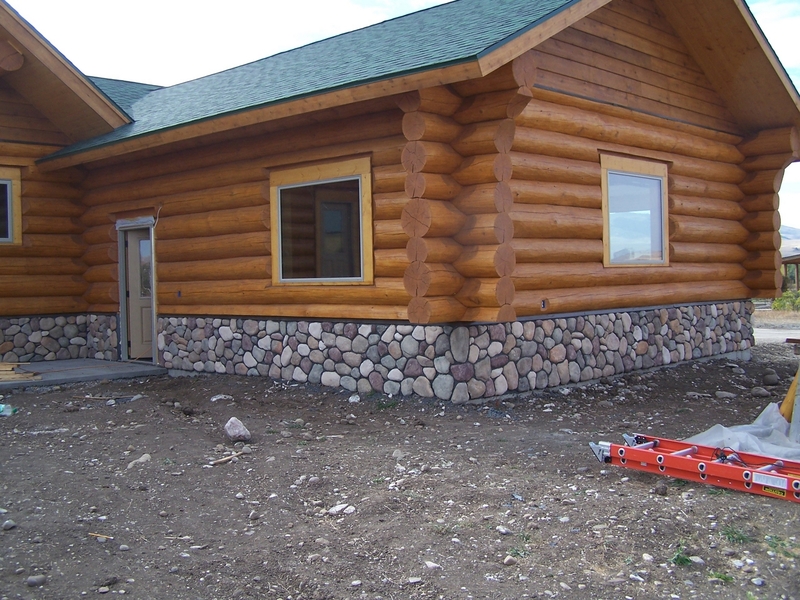 For this we are using river rock cultured stone. Here we see the stone on the chimney has been mounted and the grouting and detailing around the rock is being completed. The cultured stone comes with both flat backs and angled corners. A variety of shades give it an attractive appearance. As well as stoning the chimney on the inside and outside we are also stoning the foundation. Here we see the left hand wall of the garage in progress. Before the stone is mounted the wall is covered with felt paper and then covered with lathe. Then the stones are applied. Here a small area is not quite finished. The stone work on the back side of the garage is about 2 1/2 feet tall. Here we see the stone is all in place and the grouting is completed between the stones. Some time has passed and we can now see the exposed part of the foundation around the entire home is completed. The stone work ties this home together visually. 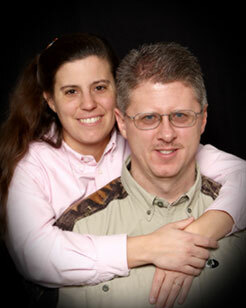 (Click on any photo to enlarge). 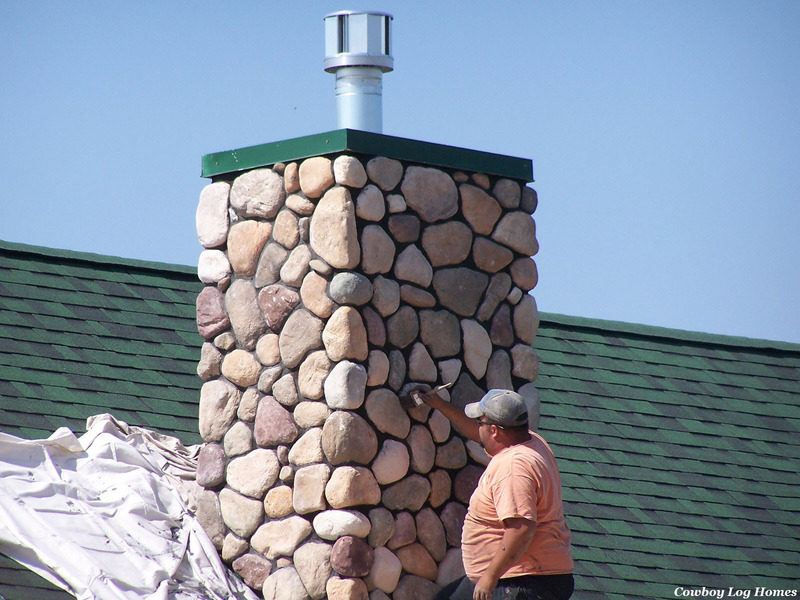 For this foundation and chimney I believe the stone work was the best choice of finishes. 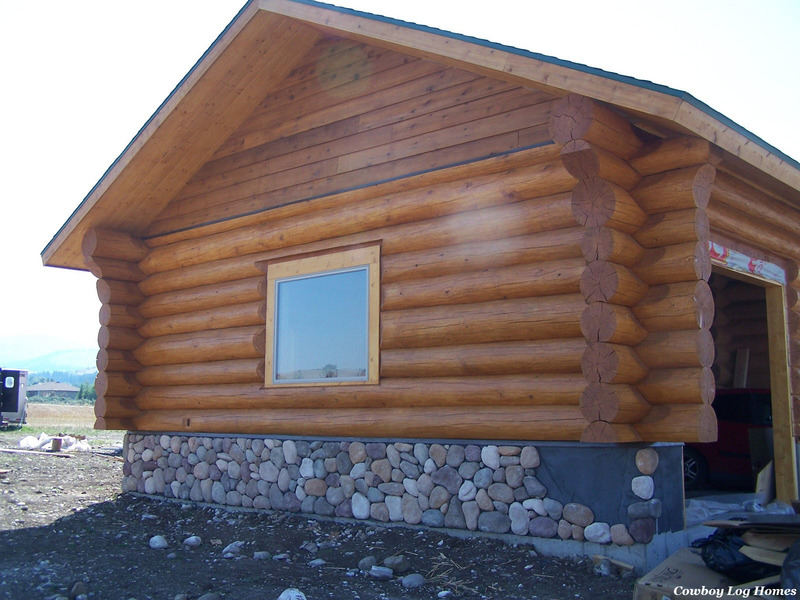 Some owners choose to stucco the foundation or even cover part of it with log siding. But there is no substitute for stone. 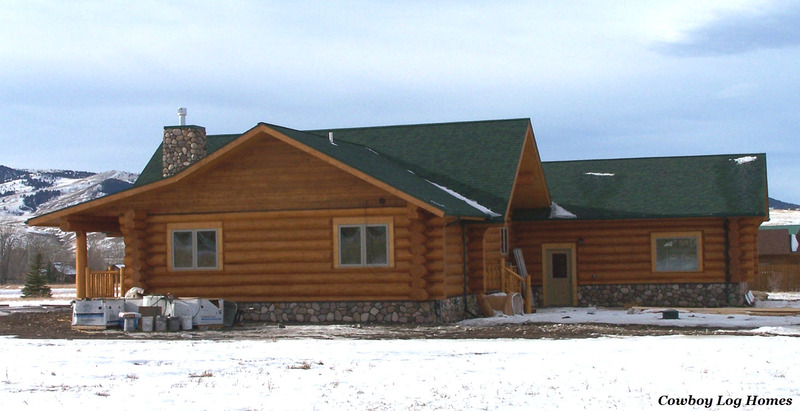 Our last view shows the back side of the log home completed. The log railings on the porches has also been installed. 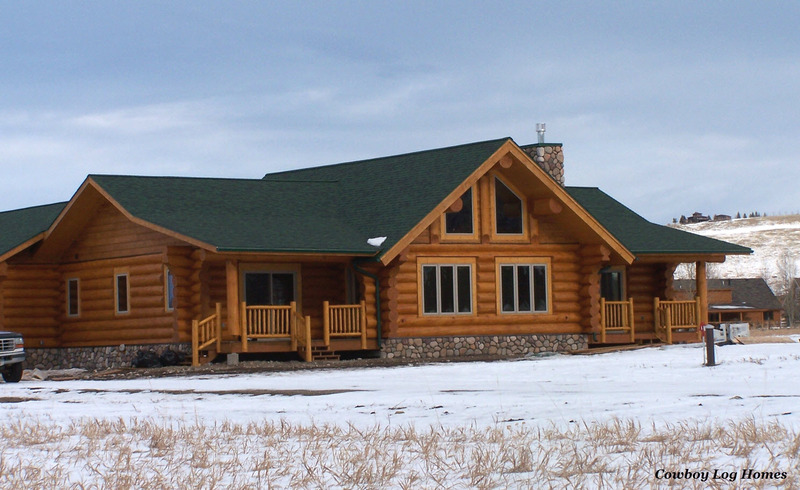 To have an outstanding handcrafted log home attention to detail is paramount.